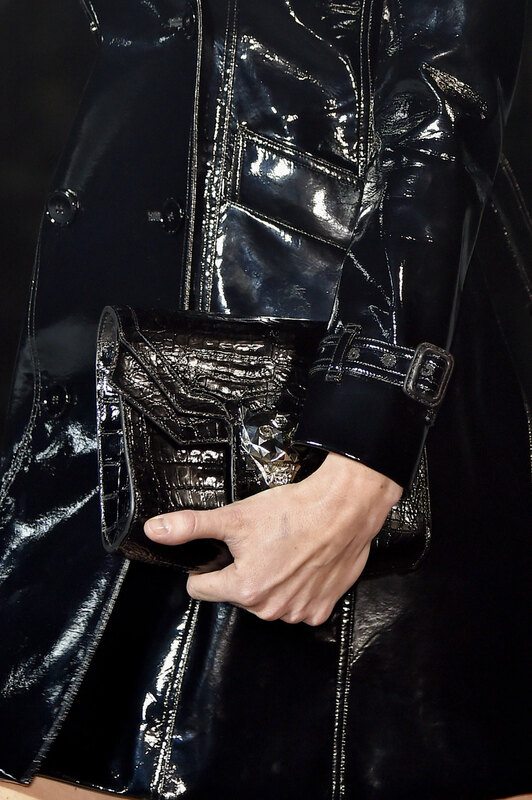 Philipp Plein Women Autumn-Winter 2015 - It was a punky dream with added elegance as Philipp Plein presented the looks for his autumn winter collection in Milan. 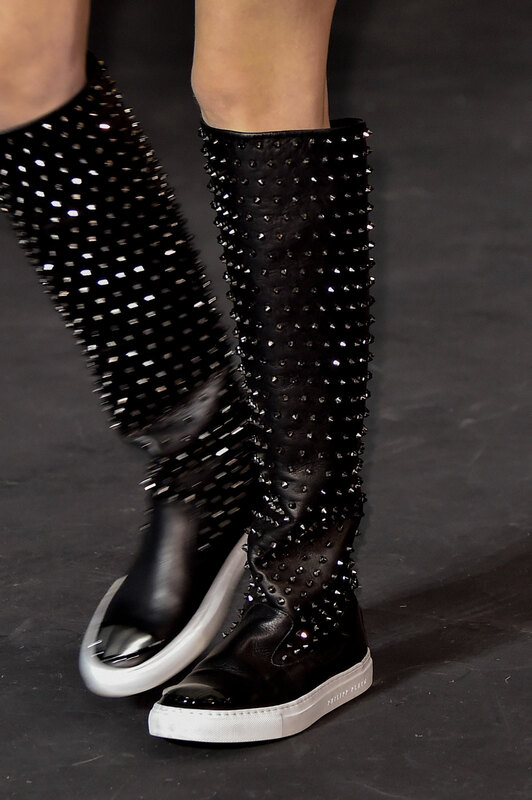 This season’s collection was a complete contrast to the 1950’s inspired flares we saw previous to this. His new perspective? 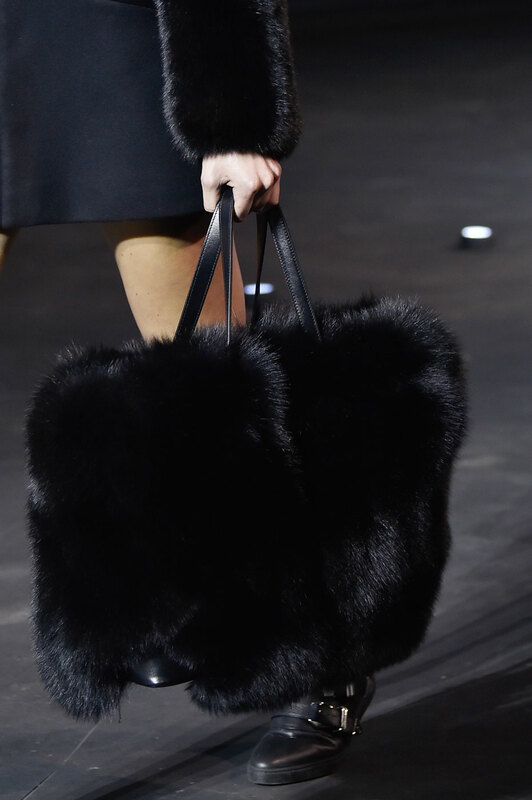 A key focus on street wear and a lot of sensational fur. 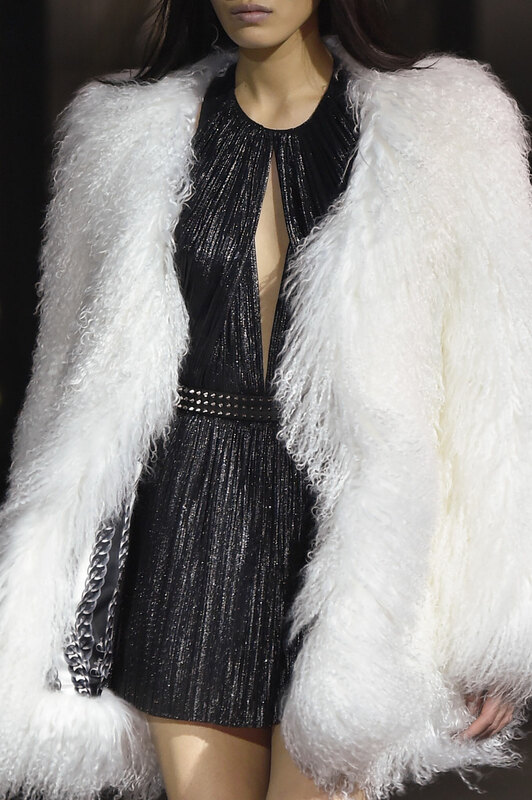 The inclusion of his signature studs added exceptional detailing, complimenting the dreamy fur coats by adding a tougher edge to more established, exquisite pieces. 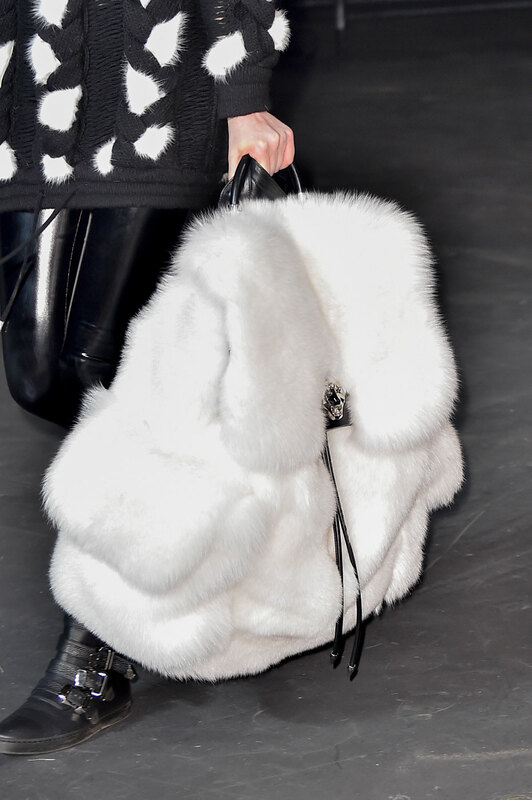 The colour scheme although monochrome is impressive, due to the layering of leather, fur and bold knits. The burst of rust mohair is made a striking statement. 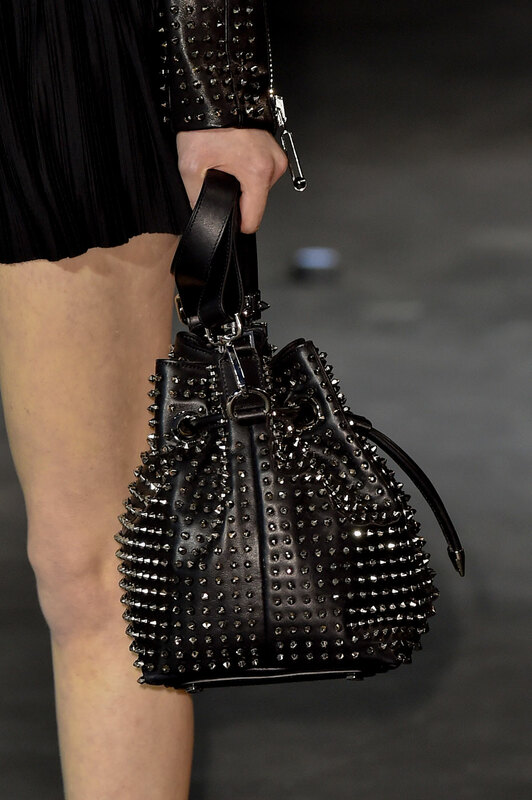 Every element of the collection has its own superb qualities, whether it be the oversized animalistic rucksack or the intricate seams of studded leather. Even the studded detailing on his sharp cut dresses scream sophistication, where Plein effortlessly promotes a much smarter, premium collection this season.